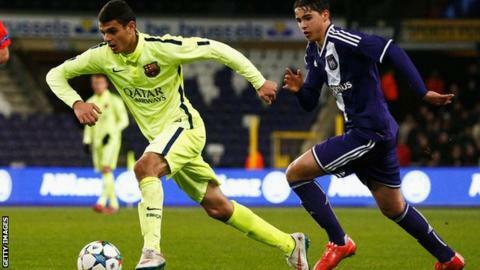 Stoke City have signed teenage winger Moha El Ouriachi from Barcelona. The 19-year-old, who rejected a new contract at the Nou Camp, has joined the Potters squad for their matches in the Asia Trophy in Singapore. "Moha's excited about joining a Premier League club," said Stoke chief executive Tony Scholes. "He has seen the progress made by Bojan and Marc and wants to try to do likewise." Stoke have not revealed the fee they have paid for El Ouriachi, or his contract length.